Saint Vaast En Auge is a tiny countryside village in an area called, Le Pays d’Auge. It is located between two famous sea side resorts called Deauville, and Cabourg. Caen, the main city of the area, is 30km (18miles) South East. 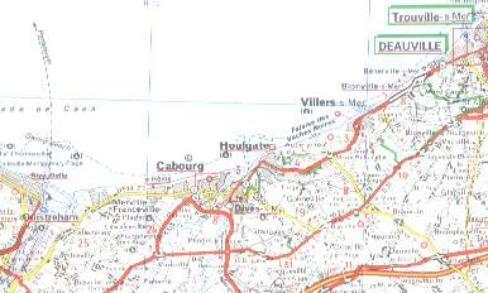 Saint Vaast En Auge had nothing to do with the D-Day invasion as the nearest DZ/LZ, ‘V’, Varaville was 8 miles S.E.